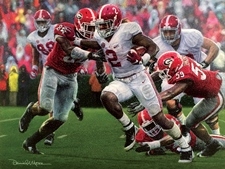 Limited edition prints are signed and numbered (S/N) by the artist. 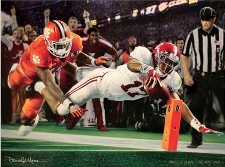 Artist proof - Signed and numbered by the artist and may be signed by a player and/or coach. 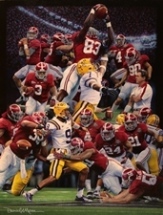 These editions are more colelctible and are produced by giclee printing. 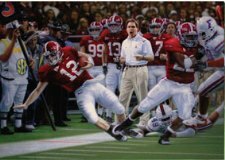 Giclees are produced on a 12-color printer utilizing archival inks transferred on to an acid-free cotton rag paper. 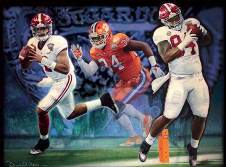 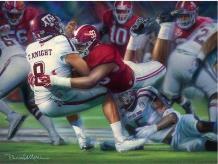 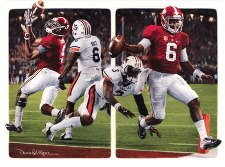 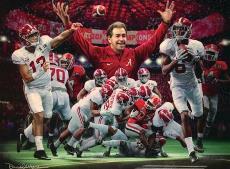 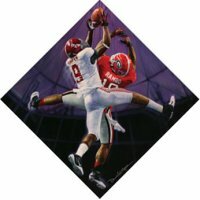 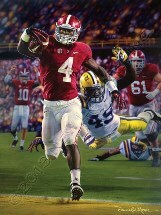 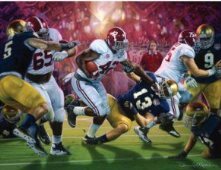 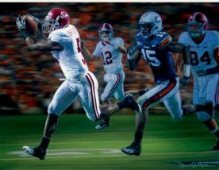 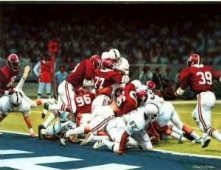 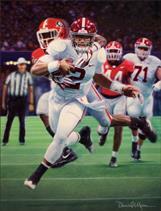 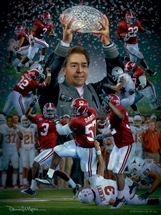 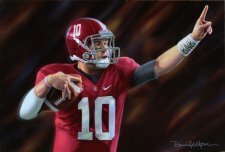 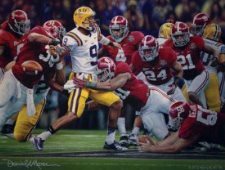 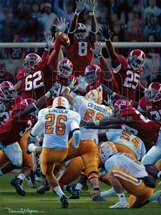 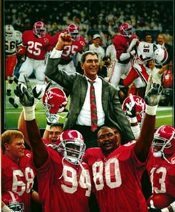 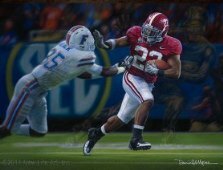 Most of Daniel Moore's limited editions are SOLD OUT but may be available on the secondary market. 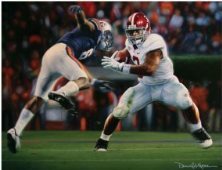 The market value listed below is for unframed, regular edition prints.